We are extremely proud of our Corps History and the amazing women who came before us. Below is a brief summary but if you are interested there have been many books written about the Corps. Please see the Bibliography section. The Corps was founded in 1907 to provide assistance to civil and military authorities in times of emergency. And today, over 100 years later, the purpose remains exactly the same. HRH The Princess Royal is our Commandant in Chief. Since 1999, when Her Royal Highness kindly gave permission to use her title, the Corps has been renamed: FANY (Princess Royal’s Volunteer Corps), commonly abbreviated to: FANY (PRVC). We are the world’s longest established uniformed 'military' voluntary organisation for women - and today, the only all-women unit left in the UK. The Corps is on the Army list, but not part of the Army. We use the Army Rank structure, and are an officer Corps, but we neither train at Sandhurst, nor do we hold the Queen's Commission. We work with the Army Reserve, but we also have a civilian role with the City of London and Metropolitan Police. Unlike the Army Reserve, we are unpaid; in fact, we pay an annual subscription. We are also a member of the London Military Museums Network. Our archive contains records and documents concerning the thousands of women who have served the Corps since it was founded in 1907. It is located in a secure MoD site in London. We are therefore only able to arrange visits for specific research enquiries, but we do offer a research service by our Volunteers. To find out more please email details of your request to hq@fany.org.uk. The Corps’ founder was Edward Baker, a Warrant Officer in the 21st Lancers, who was wounded during his period of service with Lord Kitchener’s army in the Battle of Omdurman in 1898. 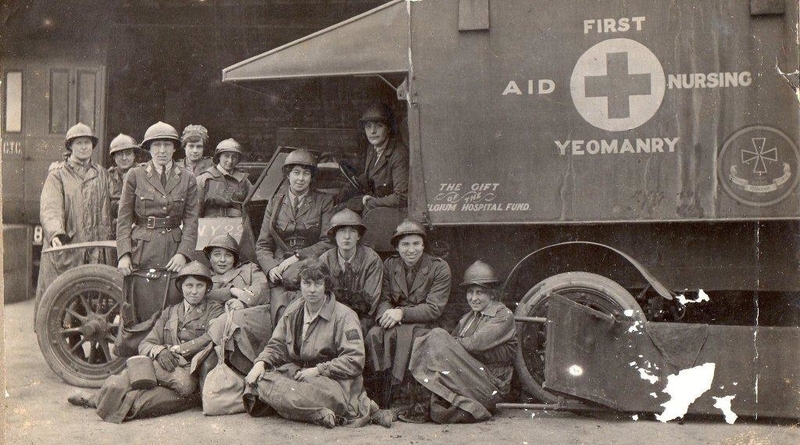 Lying there nursing his left shinbone, where he’d been shot, he thought that it would be wonderful if a group of women were able to administer first aid on the battlefield to the men before they were removed from there to the casualty clearing stations. However, he had to wait until September 1907 to put his dream into action and to found and establish the Corps. Recruitment drives were held in the early years, with the emphasis always on attracting young women who could already ride and who owned their own horses. However, by 1911 the Corps was being led by Grace Ashley-Smith, a feisty, no-nonsense Scottish woman, and Lilian Franklin, who became the first Commanding Officer, always known as ‘Boss’. They helped to introduce a more practical uniform and tougher and more serious training. 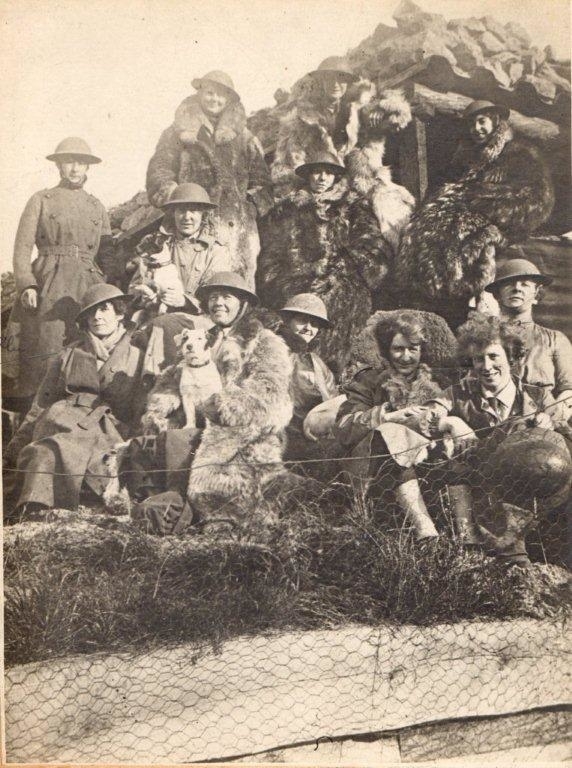 Early camps consisted of mainly riding and First Aid (hence the yeomanry connections and inclusion of word Yeomanry in the Corps name). 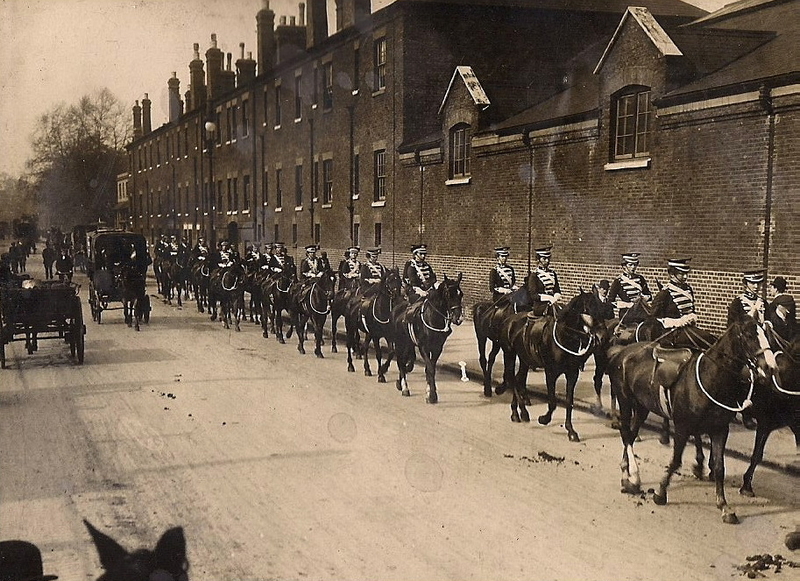 A major step forward came with the Annual Camp in 1913 being held at Pirbright, which lasted two whole weeks, and which saw the Brigade of Guards taking them under their wing, beginning a connection which continues to this day. When the First World War broke out in 1914, the FANY quickly followed up on their military contacts, but to no avail - everyone refused to take them. Grace Ashley-Smith was on board ship bound for South Africa to visit relatives when war was declared – she immediately turned back and set sail for home. One of the fellow voyagers was the Belgian Minister for the Colonies – and he decided that if the British would not have them, the Belgians would. 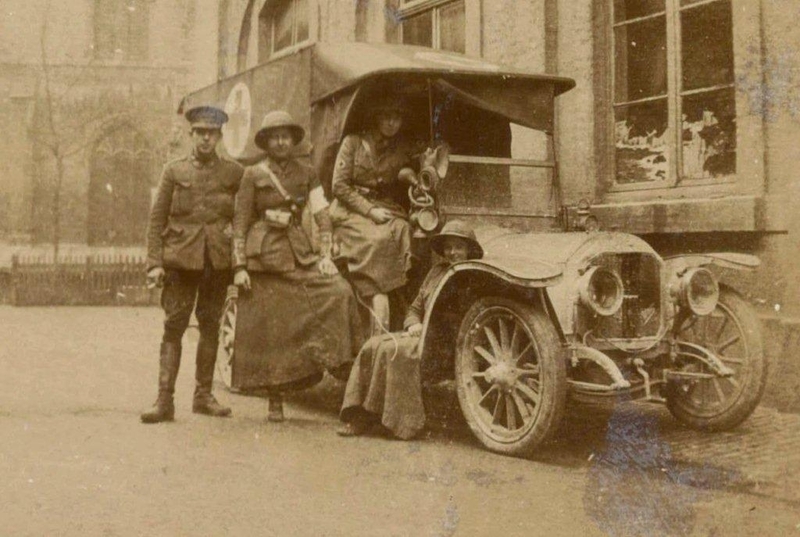 Back in the UK, Grace Ashley-Smith acquired an ambulance and returned with six FANYs – they crossed to Calais on 27th October 1914 to drive ambulances for the Belgians and the French. This date marks the official start of the FANYs’ wartime service, and is still the date nearest to which we hold the annual Corps Reunion. On 29th October, they took over a dirty and decayed convent school opposite the Church of Notre Dame, called Lamarck Hospital. The wounded were being brought in before the FANYs had even had time to unpack. The conditions they had to contend with, even without the shellfire, were fairly arduous. The vehicles were of the kind now only seen on the London to Brighton run, with rudimentary screens or none, uncertain engines, and tyres depressingly prone to punctures. The wartime FANY Gazettes recount the primitive conditions in which they cheerfully lived and worked; Zeppelin bombing raids; supply trips to the Front; evacuating the wounded under fire; facing death and disease with equanimity; battles with bureaucracy. 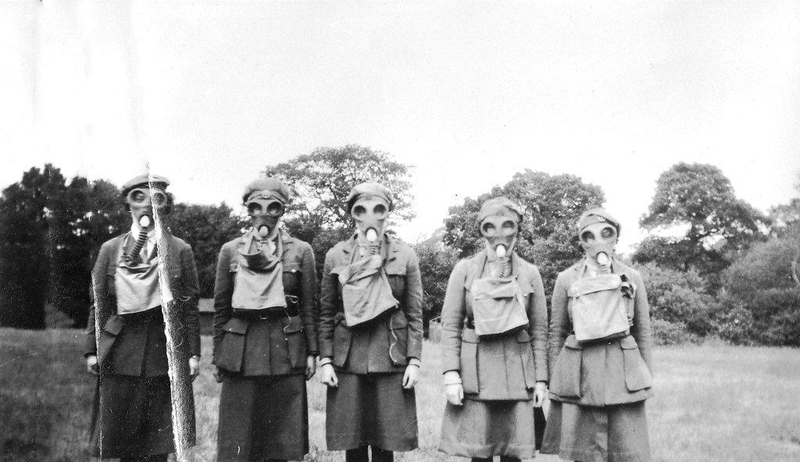 One describes how in the second chlorine gas attack in May 1915, they doused their sanitary towels in eau de cologne and held them over the faces of the British soldiers, because the men didn’t have respirators in that early stage of the war. The FANY also performed other duties as required, setting up regimental aid posts, motor kitchens and even a mobile bath vehicle. This had been brought over by FANYs Marion and Hope Gamwell, and was called James - and offered the luxury of a hot bath to 40 men per hour. A Convalescent Home for Belgian sick and wounded, Camp du Ruchard, was set up in the Loire which ran until June 1917. The FANY ran Lamarck until October 1916, mainly driving the wounded from casualty clearing stations to Lamarck and other hospitals, and doing anything else required of them – their experiences here started the tradition of versatility for which we are still known today. Later in 1915 a Convoy was formed at the Hopital de Passge in Calais, which became known as the Belgian Convoy. The FANYs were enrolled into the Belgian Army. These FANYs were the first into Belgium after the Armistice in November 1918. FANY competence was finally officially recognised by the British when the War Office asked them to work for the British – sixteen FANY ambulance drivers duly replaced the BRCS men on 1st January 1916. Surgeon-General Woodhouse uttered the immortal words which sums up what we have been ever since - impossible to categorise: “they’re neither fish nor fowl, but damned fine red herring”. The Corps Gazette mentions how one girl, Pat Waddell, lost a leg when hit by a train while driving an ambulance, yet returned to duty months later with an artificial leg. In January 1918 a second British Convoy was formed at St Omer. It was a joint FANY/VAD unit and for bravery under fire on 18th May 1918 became the most decorated women’s unit of the war, 16 Military Medal and 3 Croix de Guerre. 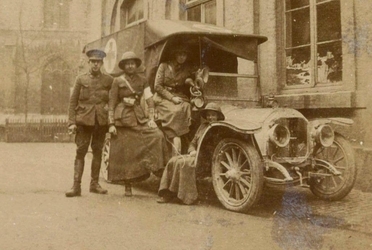 In January 1918 a group of FANYs was sent to drive for the Michelham Convalescent Home in the south of France. They served there until 1919. In September 1918 what was to become known as The Last Convoy left London. It arrived in Nancy just after the Armistice where the FANYs transported the thousands of returning refugees. FANYs from other convoys were variously assigned to duty in Strasbourg, Compiegne, Brussels, and Cologne. In all, during the First World War FANYs were awarded 17 Military Medals; 27 Croix de Guerre; one Legion d’Honneur, and 11 Mentions in Despatches. 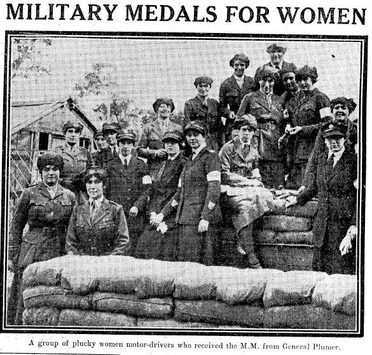 At the end of WW1 the WAAC, WRNS and WAAF were disbanded. Time for women to go back home. The FANY however, being independent and self-funding, could not be abolished. They had many supporters in the military establishment appreciative of their war-time service, From 1921 the War Office provided Army accommodation and training assistance for Annual Camps and the FANY continued to train for readiness to provide support in time of national emergency. 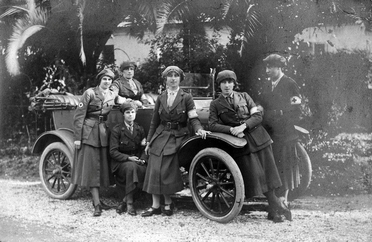 In the 1926 General Strike, they were the only women’s Corps officially employed by the War Office – on 1st May, Commandant Franklin was summoned to the War Office and asked to provide 20 private cars and drivers to take War Office staff to and from their homes. This work led to the inclusion of the Corps in the monthly Army List, although funding was still withheld. The Corps title was revised, and was briefly known as the Ambulance Car Corps (FANY). The name never stuck but it did signal to the wider world the Corps’ move in WW1 from a first aid role to one of transport. In 1937 the name was officially changed to Women’s Transport Service (FANY). 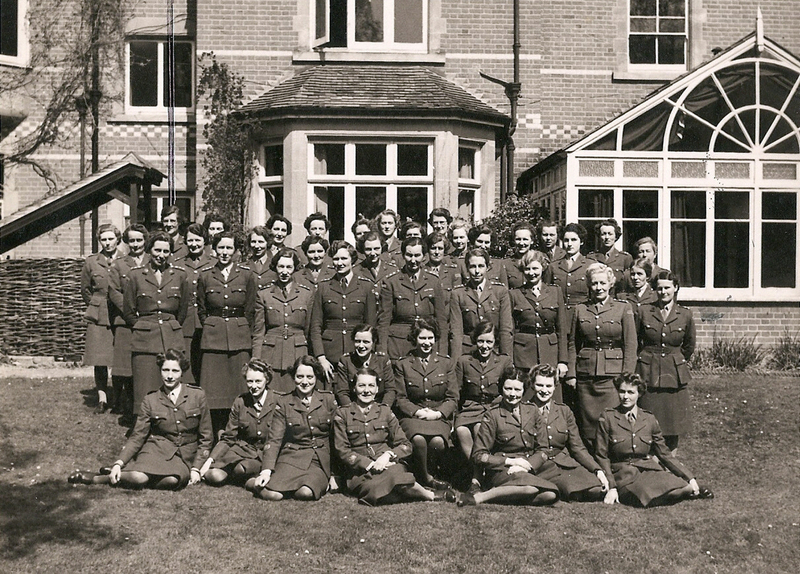 This higher profile boosted recruitment and small sections were formed away from London in the 1930s - for example, in 1936 Lady Sidney Farrar formed a FANY unit in British East Africa (now Kenya), the first overseas women’s unit ever to be formed. In 1933, HRH The Princess Alice, Countess of Athlone, became the first Commandant-in-Chief of the Corps. Being on the Army List also began the formal recognition of the FANY as military drivers - both by themselves and by the authorities, and formal Army tests for driver mechanics were organised. 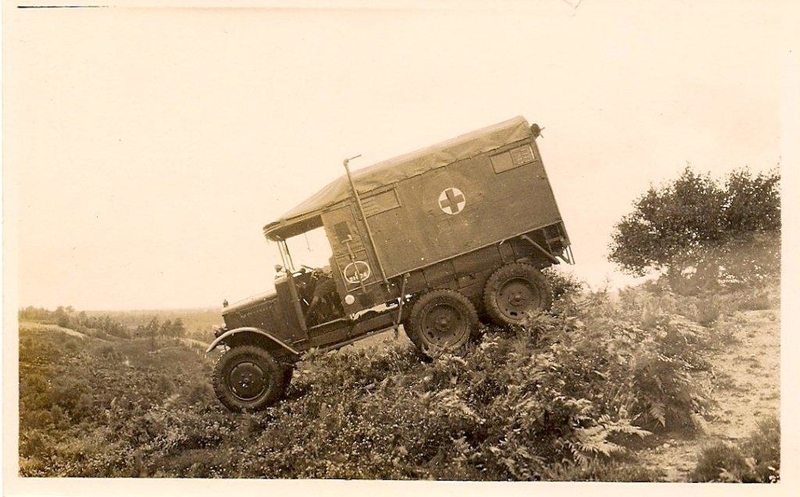 The War Office also provided War Department vehicles – ambulances and six-wheeled lorries – for Annual Camp in 1936, thus allowing training for drivers/mechanics on convoy work and care and custody of tools. As war clouds gathered, plans evolved to form an all-embracing women’s service. This would provide drivers, cooks and clerks for the Army and RAF. 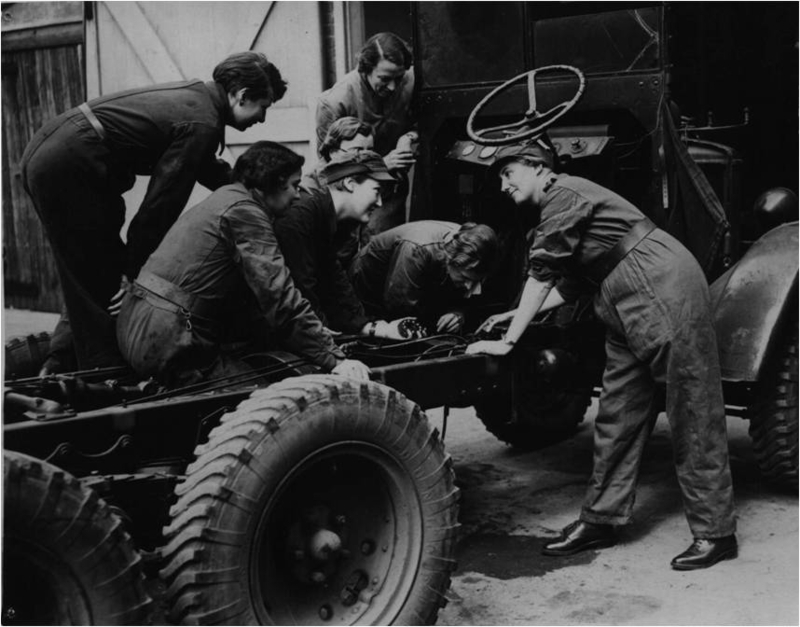 Reluctant to lose their independence but conscious of their patriotic duty, in 1938 the FANY undertook to supply trained driver/mechanics, to be part of the new Auxiliary Territorial Service (ATS) . They also set up an officer and NCO Training Centre at Camberley. As a concession, the FANYs were allowed to wear their own flash on their ATS uniform sleeves. In 1939 the FANY London Motor Companies were ordered to also make their HQ in Camberley, thus separating them from London HQ Those FANYs not in the Motor Companies became known as the ‘Free FANYs' and during the war which broke out in September 1939 were to undertake a variety of roles. In November 1939, Russia invaded Finland. 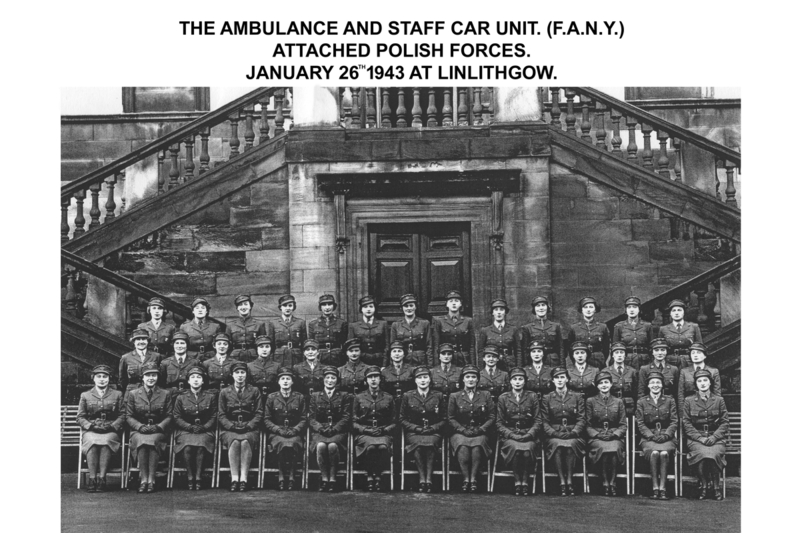 In February 1940 a convoy of ten ambulances with forty FANY drivers left for Finland via Sweden. They arrived shortly after fighting had ceased but stayed on to help evacuate hospitals and refugees from Karelia, ceded to the Russians under the terms of the armistice. After the German invasion of Poland in 1939, 24,000 Poles escaped to re-form into fighting units in Scotland. The FANY became involved with these Free Poles from 1940 until the end of the war, supplying drivers, clerks, cooks and administrative services. A FANY mobile canteen unit was in France with the Poles, returning via St. Malo during the BEF withdrawal. Free FANYs were recruited as wireless operators for the clandestine ‘stay behind’ Home Guard Unit in existence from 1940 until 1944. 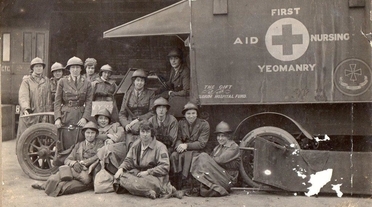 Free FANYs were attached to the British Red Cross, the American Ambulance Corps GB and the British Committee for the French Red Cross from 1940 to 1945. In September 1944, 23 FANYs of No 1 Motor Ambulance Convoy were amongst the first women to cross the Channel. SEAC Welfare Unit: As the war in Europe drew to a close, FANYs from the Polish Units and the BRCS were recruited for service in the Far East. Thousands of starving Allied prisoners-of-war were freed over the next few months. The FANYs served in Burma, Vietnam, Thailand, Malaya, Japan and the East Indies. Other FANYs worked during the war as radio officers, encryption specialists, wireless operators, radar operators, personal assistants (drivers, coders and decoders) in the UK, North Africa, Italy, India, Ceylon and the Far East. However, the most famous role played by the FANY in WW2 was in Special Operations Executive (SOE) - see next section. The Corps’ strength in WW2 was 6000, of which 2000 were in SOE. Gallantry awards included: three George Crosses; two George Medals; a King’s Medal for Courage in the Cause of Freedom; a King’s Commendation for Brave Conduct; two Commendations for Good Service; and 36 Mentions in Despatches. Also: one CBE; six OBEs; 23 MBEs; 10 BEMs. There were numerous foreign decorations too: one Chevalier of the Legion of Honour; six Croix de Guerre; two Medaille de la Reconnaissance; one Norwegian Liberty Medal; one US Bronze Star; and one US Medal of Freedom with Bronze Palm. Commandant MacLellan and FANY ATS instructing staff with Princess Elizabeth. The Special Operations Executive (SOE) was formed from the three existing intelligence organisations in July 1940 on Winston Churchill’s orders to ‘set Europe ablaze’. The purpose was to organise active resistance to the Germans by any means possible, legal or illegal, gentlemanly or otherwise. SOE was divided into various Sections – the most famous being F Section, which took care of operations in France. Others were in Norway, Greece, the Balkans, etc. One major contribution by the FANY to the work of the SOE was in Communications, in both Signals and Cipher departments, where they received intensive training on Morse code. Many FANYs were posted to Grendon Underwood listening station, waiting to receive messages from the agents, because wireless was the most valuable link between the FANY operators based in the UK and the agents on the ground. Another major contribution was the FANY agents in the field: they worked mainly in France. Thirty-nine of the 50 women sent into France were FANYs. Women could move around much more freely, because, since over 1.6 million French men had been deported by the Germans into forced labour, male Resistance fighters were dangerously conspicuous. The FANY had to have perfect knowledge of France, very good (though not necessarily perfect) French, and few family ties. They undertook their initial training at Arisaig (Scotland) in silent killing, weapon handling, fieldcraft, and sabotage; and did parachute jumps at Ringway aerodrome. They also learned how to operate wireless sets, which they would have carried around in their cases, made to look like ordinary leather suitcases. At Beaulieu, known as the finishing school for secret agents, they learned the arts of espionage, including complex encoding and message sending. The Conducting Officers for the agents were also FANYs – they took part in the training, and reported on agents’ strengths and weaknesses. They were also the one to give the agent a small token of humanity before their departure into the field, such as a compact, lipstick or perfume – and, of course, their deadly cyanide pill. Thirty-nine FANYS actually went into the field, of whom 13 were captured and murdered by the Gestapo. Noor Inayat Khan, who was part of the ill-fated Prosper network which operated around Paris. Noor was eventually the only SOE wireless operator in Paris. She was arrested and under torture said nothing, and twice tried to escape, but was sent to Dachau, where she was shot in September 1944. Odette Sansom (later Churchill, later Hallowes) was arrested after seven months, and brutally tortured (with a red hot poker on her back, and her toenails pulled out), but somehow she managed to convince the Gestapo she was married to Peter Churchill, another agent with whom she had been arrested, and that he was closely related to Winston Churchill. She was sent to Ravensbrück Concentration Camp, where she was kept in solitary confinement in a room next to the furnaces, and with the heating turned on full blast throughout the summer to try and break her. She survived pneumonia and the war and lived to become one of our most venerated veterans. Violette Szabo was one of best shots in the Corps and one of the fiercest characters in SOE, and was captured after a major shoot-out, only being taken when she ran out of ammunition. She was shot at Ravensbrueck in January 1945. Lise de Baissac was part of the Scientist network near Poitou and would cycle around the countryside looking for fields suitable for drop zones, with her radio hidden in pieces up her skirt and in her bra. Nancy Wake was the most highly decorated woman of the Second World War, known to the Gestapo as the White Mouse – she undertook a bicycle ride several hundred miles to the Pyrenees from Auvergne to get a single radio part back to her Maquis unit, where she single-handedly commanded some 1,500 men. Violette Szabo, Odette (Churchill) Hallowes and Noor Inayat Khan were all awarded the George Cross, Violette and Noor posthumously. All those FANYs who lost their lives are commemorated on the FANYs’ own memorial at the FANY church, St Paul’s Knightsbridge. In December 1945, WTS (FANY) HQ moved to 55 Sloane Street, which served as both office and residential club. 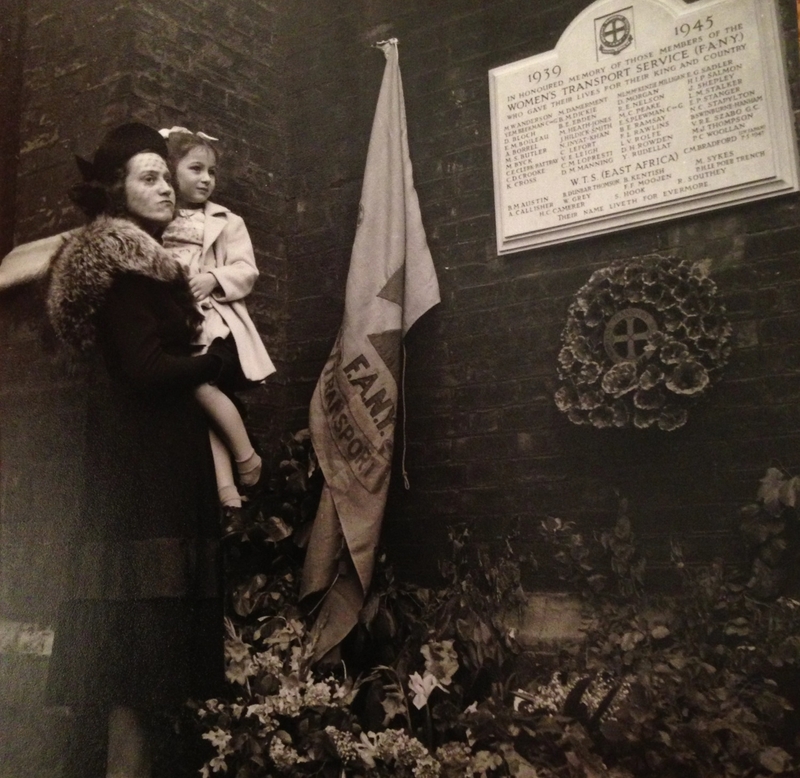 On 8th June 1946, FANYS took part in the Second World War Victory Parade. In 1947, Field Marshal Lord Wavell became Honorary Colonel of the Corps, and in 1950, the Corps was officially sponsored by a department of the Foreign Office. The Cold War influenced the training schedules, with Civil Defence becoming a priority. In 1952, the then GOC London District, Major-General Julian Gascoigne, became the new Honorary Colonel. In 1957, the Corps celebrated the 50th Anniversary of its founding, and Commandant MacLellan was awarded the OBE. In 1960, there was significant restructure of the Training organisation with the co-operation of the Royal Corps of Signals, and weekend Signals training was introduced. Until May 1962, the newly-formed No. 1 Independent Section saw a younger intake being recruited, and training regularly with the SAS; they also began Wireless Telegraphy W/T training at Worship Street, and shooting on the Indoor Range at White City Barracks. Signals’ training continued, with two FANYs qualifying as Cypher Instructors. 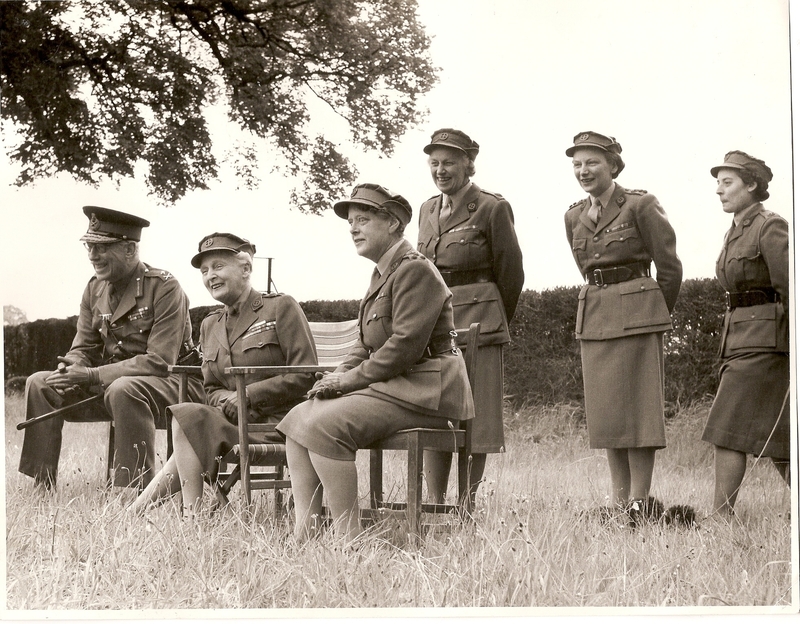 In February 1965, Corps Commander MacLellan retired, having appointed her successor, Sheila Parkinson, who had joined the Kenya FANYs in 1937. In 1966, Corps Commander Parkinson was faced with finding a new headquarters building. Fortunately, 21 SAS (TA) offered house-room until the Corps’ 60th Anniversary year in 1967, which began with the good news that accommodation had been found at The Duke of York’s Headquarters, Chelsea. The 25th Anniversary of the creation of The George Cross was celebrated with a service in London attended by Odette Hallowes, our surviving holder of the GC. In 1968, the FANY Mobile Communications Unit (MCU) was formed to provide assistance to the City of London Police in support of disasters within the London area. In 1969, the Language Unit was formed to bring together as many linguists as possible to provide individuals or teams to interpret at international events. By the early 1970s, the Language Group provided proficiency in 12 languages and had a busy schedule. 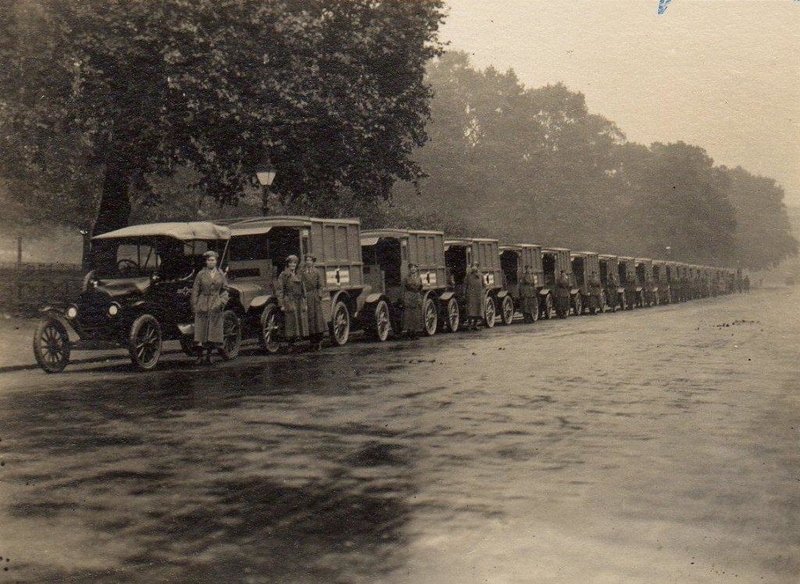 The FANY were asked to provide a mobile Radio Telephony RT communications team to work with the Provost Section responsible for marshalling a major parade of 800 men and 200 vehicles in Hyde Park as part of the TAVR Recruitment drive. The experienced RT teams carried out an extensive exercise called ‘RIVERLINE’, which involved testing communications near the Thames and other waterways. In 1975, the Corps provided round-the-clock support in the aftermath of the Moorgate train disaster on 28th February. On a lighter note, 1977 saw the 70th Anniversary of the founding of the Corps, an OBE for Commandant Parkinson, and an important role in the TAVR Courage Trophy Competition. The FANY provided a communications network for the transmission of the TAVR Courage Trophy scores from the competition sites, via Net Control to the score boards at the Duke of York’s Headquarters. This support continued annually until 2007, when the competition was discontinued. FANY Commandant-in-Chief, HRH The Princess Alice, Countess of Athlone, died in Spring 1981, after which HRH The Princess Royal became Commandant- in-Chief. In 1982, the Army Board agreed that the FANYs could train to operate in Army Communication Centres (COMCENs) during times of tension or national emergency and training started the following year. In 1988, the Language Group provided interpreters for the International Conference of Reserve Officers Congress, held at the Queen Elizabeth II Conference Centre. One little-known role of the FANY during the Cold War, which has recently been revealed, involved arrangements for ensuring the continuity of Government in the event of a substantial attack on the United Kingdom. In such an eventuality, our members would have been required to assist 2 Signal Brigade by deploying to one of a number of secret bunkers established around the country designed to house 'dispersed government'. These bunkers contained all the facilities required to sustain a community of people for several months. ‘CHANTICLEER’ was the Cabinet Office codename for the site, which was to be activated by the codeword ‘ORANGEADE ’. It has been suggested that in the event of a nuclear attack, having a cadre of intelligent young women from the FANY would have proved vital to the future survival of the human race! In September 1990, Corps Commander Parkinson was succeeded by Anna Whitehead. In 1991, the Cannon Street Train Crash saw FANY teams called out by City of London Police. Days later, the outbreak of the First Gulf War led to the involvement of the FANY in OP. GRANBY: the Ministry of Defence asked for, and received, FANY volunteers to augment Regular Army personnel at the PS4(A) Casualty Section at Empress State Building (ESB), and at Chatham COMCEN, on a continuous 24-hour basis. On 10th April 1992, the FANY were called out for the Baltic Exchange bombing to man the Casualty Bureau at Bishopsgate Police Station. On 24th April 1993, the FANY were called out after the major IRA bomb in Bishopsgate, actually running the Casualty Bureau themselves until the police arrived. In 1994, the Year of the Yeomanry, which was also the Bicentenary of the raising of the first Yeomanry Regiments, a FANY marching contingent, plus a FANY rider in a 1907 replica uniform, participated in the Review of the Yeomanry by HM The Queen in Windsor Great Park on 17 April. The 50th Anniversary of Operation OVERLORD was commemorated, with a particular focus on the sacrifice of FANY SOE agents. In 1996, FANYs began training for a new commitment with 2 (National Communications) Signal Brigade and in the following year, 1997, Commandant Whitehead was awarded the OBE (Civil Division) in the New Year Honours. At the end of the year, she was succeeded by Lynda Rose as Commandant. In 1999, after HRH The Princess Royal kindly gave permission to use her title, the Corps changed its name from WTS (FANY) to: FANY (Princess Royal’s Volunteer Corps), commonly abbreviated to: FANY (PRVC). In 2000, the Corps saw another temporary move within the Duke of York’s Barracks, and on 17th October FANY members were called out to man the Casualty Bureau after the Hatfield rail crash. However, in 2003 The London Scottish made room at their Horseferry Road building. Training continued with the Army Casualty Cell, and with the developing role for London Resilience through the Civil Contingency Reaction Force (CCRF). In 2003, the Corps was involved with supporting the Army and Emergency Services for Op FRESCO (Firefighters’ strike). In 2005, Members gave nearly 800 volunteer hours in support of the London Bombings on 7th July. Two days after the attack, Active Members and Veterans attended the unveiling of the Memorial to The Women of World War II in Whitehall. In 2007, the Corps celebrated its Centenary with several noteworthy events, including: a convoy featuring vehicles used throughout the Corps’ 100-year history travelling from Buckingham Palace to the Royal Hospital Chelsea and culminating in a Church Service and Reception; a walking expedition over the Pyrenees following an SOE escape route; a Reception attended by our Commandant-in-Chief, HRH The Princess Royal, at the Guildhall’s Art Gallery; and a spectacular Centenary Ball to finish off the year. Commanding Officer Rose was awarded an MBE and was succeeded by Annie Cockram. The Corps relocated again in 2010, to its current HQ in Rochester Row. In 2011 Annie Cockram resigned as Commanding Officer and was awarded a CBE, and was succeeded by Kim McCutcheon. In 2012, during the London Olympic and Paralympic Games, the Corps supported seven organisations, providing 2,351 volunteer hours, with 92% of Corps members undertaking one or more roles. Assistance to the Army Cadet Force for their annual camp and major exercises, including the Elworthy Trophy, for which Corps Members provide the radio communications and team scoring systems and results.